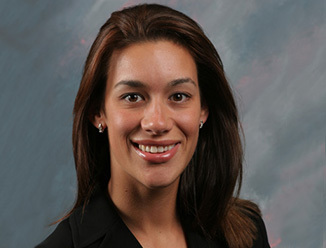 Rebecca Finley is a Managing Director of Strategic Accounts. She is responsible for the Equity Commonwealth (EQC) portfolio which consists of 41.2 MSF of office, retail and industrial assets across 31 markets across the United States. Strategic Accounts provides dedicated real estate professionals who serve the company’s institutional and investor clients as single points of contact. These experienced specialists leverage CBRE resources on behalf of clients, and partner with their clients to meet their immediate and long-term goals while fostering mutual growth opportunities. In this role, Ms. Finley is responsible for providing operational excellence, execution of client strategy and portfolio management. Prior to joining the Strategic Accounts team earlier this year, Ms. Finley was the Regional Director of Operations for the Northeast Region. In this role she was responsible for the oversight of property transitions, managing new business, administering the Environments for Excellence compliance program, implementing Global Standards and supporting new technology. During her tenure in this role she transitioned 200 million square feet of new business across all asset types. Additionally, Ms. Finley assisted with new employee training as well as continuing operational training by teaching Variance Analysis & Reporting and Financial Mastery courses to Asset Services employees throughout the United States. Ms. Finley began her career with CBRE in May 1998 and has held multiple positions within Asset Services since that time. She has strong financial and communication skills and acts as a resource to all Asset Services field employees providing supervision, training and guidance as required. REIT Management & Research, Inc.